As one of the leading specialist sealing manufacturers, what better way to demonstrate our solutions than by launching a brand new website. In 2015, Novotema was acquired by IDEX Corporation and forms part of IDEX Sealing Solutions (ISS). The deal marked an exciting milestone in our company history. Our vision was a website which not only reflected who we are and what we do, but also demonstrated what our relationship with IDEX meant for us and our customers. With the aim of communicating and building relationships with customers from across the world, we’ve showcased our complete product range of sealing solutions – available for purchase from direct sales teams in Germany, Italy, France and the UK. Behind our website is a team of highly skilled engineers, ready to provide unique technical solutions for manufacturing industries across the globe. We like to think of ourselves as the home of Elastomer/Rubber Engineering, as we have been manufacturing precision engineered moulded O-rings, gaskets, rubber seals and elastomer components from our base in Villongo, Italy for more than 40 years. As specialists in industrial, automotive, medical, chemical and other relevant sectors, we can deliver precision moulded parts to the most exacting of specifications. Novotema recently joined Precision Polymer Engineering and FTL Technology as part of IDEX Sealing Solutions. IDEX Corporation is an applied solutions company, specialising in technologies across fluid and metering, health and science, and fire and safety. By focusing on niche markets in a wide range of industries, IDEX generates annual revenue in excess of $2 billion. By working under IDEX ownership, Novotema is able to expand the manufacturing capabilities of our sealing platform, tapping into a new market of global opportunity. Novotema’s values are based on delivering the highest industry standards for health, safety, quality, value, service, delivery, technology and environment. Coupled with our high standards in component design, material characteristics and operating requirements – all of which are key to IDEX Sealing Solutions – the team at Novotema can supply the sealing market with a superior level of products and services. Our new website has been designed to deliver the best possible customer experience and enable visitors to engage with our experienced staff quickly and easily. This will help us to understand our customer's needs from the outset in order for us to provide a solution. We are aiming to provide an effective platform for knowledge and communication. 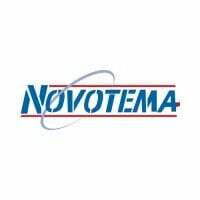 We believe that the new Novotema website will help us continue to drive growth, expand our customer base and deliver some exciting new projects. As a result, we will be able to reaffirm our position as the market leaders for specialist rubber engineering.